The people behind Kaiju! Beer love their hops. As in, they like to wade in it knee deep and max it out when it comes to brewing their beers. 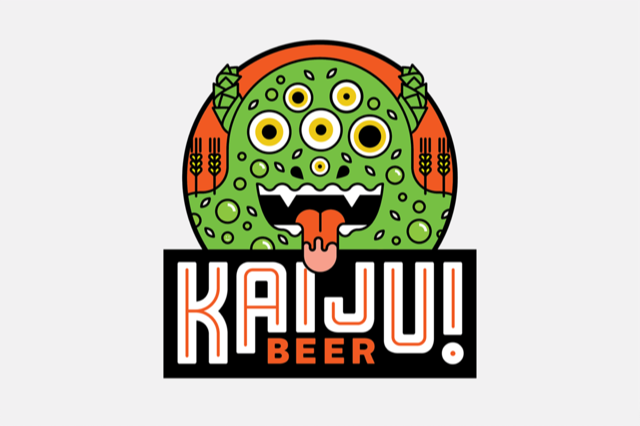 As the name “Kaiju” suggests, they also harbour a weak spot for Japanese popular culture, i.e. movies, and, if you would like to consult the accompanying picture gallery depicting the designs of their bottles and cans, monsters. Their beers have amassed accolades from International Beer and other Craft Beer Awards, first still under the banner of Monster Mash before an energy drink company put its foot down and demanded their moniker to change. The aforementioned designs stem from New York based artist Mikey Burton, who takes Kaiju brewers’ concepts and translates them into appealing and intricate artwork, thematically heavily inspired by Japanese movies and with monsters, with detailed features and intricate allusions, being the main protagonists and an underlying bigger, ever evolving narrative. East 9th Brewing is another brewery you want to check out if you are remotely interested in quality brews and related products. Their lager Doss Blockos has its focus laser-like aimed at the essentials: Pale malt and cascade hops. Natural in character and with well-calibrated bitterness – the result is that with its crispness, it goes down quite easily. Lick Pier is East 9th Brewing dry alcoholic Ginger Beer. Yup, alcoholic Ginger Beer, you’ve read that right -- it was a first for me as well. With 4.0% ABV, it is at the lower end of the alcoholic spectrum and meant to be as it was designed to be a warm-weather drink. Fog City is East 9th Brewing’s cider, a bittersweet yet fruity and cloudy one at that mixing apples and pears with 6.0% ABV. Fog City clean Red Sangria has a distinctive vigor and is made from the ripest of red wine grapes and blended with natural citrus fruit flavours. Future Memoirs Of A Root Beer is an exercise in employing of casting the gaze forward to reminisce the present and past. Another alcoholic root beer, this time incorporating more exotic flavour notes like sassafras, vanilla and cinnamon. Not an uninteresting alternative to regular beers. Family owned, awards decorated and a living and breathing ode to passionate beer brewing. Dainton Brewing’s limited emissions are liquid things of beauty, starting with the intricately designed, quirky and often sinister artwork that adorns the cans, which are based on close collaborations with local artists, via the names to their at times daringly exotic brews. The American Pale Ale is their take on the classic APA. 5.2% alcohol with a hoppy, full of flavour with great citrus notes dominating nuances of bitterness and malt. The insane Uncle IPA is as interesting as it sounds: The underpinning idea is that the aroma is meant to be reminiscent of the pungent smell the creepy behaviour of your uncle emits. It is quite something…copper in colour, ABV of 6.0% with citrus flavours prominent amidst a dank stank. A personal favourite is their pilsner, the Classic Draught, which is something that would be welcomed with open arms in German Bierzelten with subtle flavours of malt an extremely drinkable brew. The Saffron in My Rye Belgian IPA is a play on a spicy Belgian strain of yeast, notes of pepper derived from the rye component and a hint of gloves and bubblegum as well as coriander seeds that enter a nice mélange with hoppy citrus notes. Fluorescent in colour, this one is as exciting as the description of the flavour notes suggest. 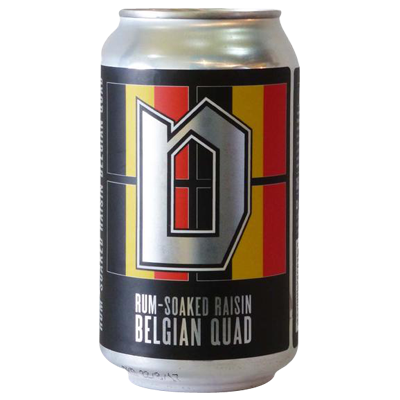 The whopper of Dainton’s brews that have been sampled is the Rum-Soaked Belgian Quad. As the name hints at, it is a quadruple style Belgian ale with a whopping 11.2% ABV. This one is something you can spend a good portion of an evening with as indulging in the prominent dark fruit and caramel notes that are flanked by the complexity of raisins that have been soaked in rum. Making a virtue out of a necessity: After founder John O’Brien of the operation discovered he had coeliac disease in 1998, which would have put an abrupt end to his relationship with beer, and his quest for a gluten-free variety not being crowned with success, he started brewing his own all-natural gluten free beer, with no colourings or preservatives. Fast forward to 2005 after a stint of trials and errors, along with finding an investor, and O’Brien Beer, a gluten free beer is born and an Australian first at that. The operation morphed two years later into Rebellion Brewing – a nod to its Ballarat roots. My favourite of the range is the full-bodied, naturally craft-brewed, premium lager with its nice aroma that is accentuated by floral notes, not lacking the bitterness that transitions to a clean crisp finish. 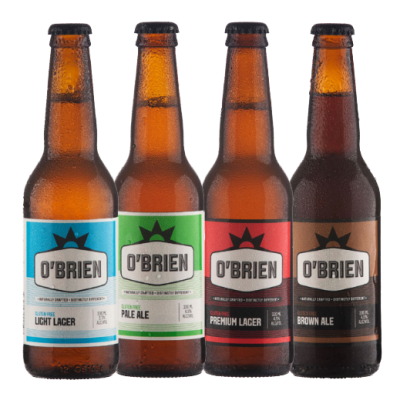 O’Brien’s Pale Ale offers an abundance of citrus flavours, fruit notes of the tropical kind on a basis of not overwhelming sweetness. O’Brien’s Brown Ale established itself in the tradition of a European dark ale with hints of chocolate and caramel kept in check with opposing spicey roasty flavours. A telling name, the Hunter Valley based microbrewery has its priorities firmly established: Purity, freshness and Australian ingredients. 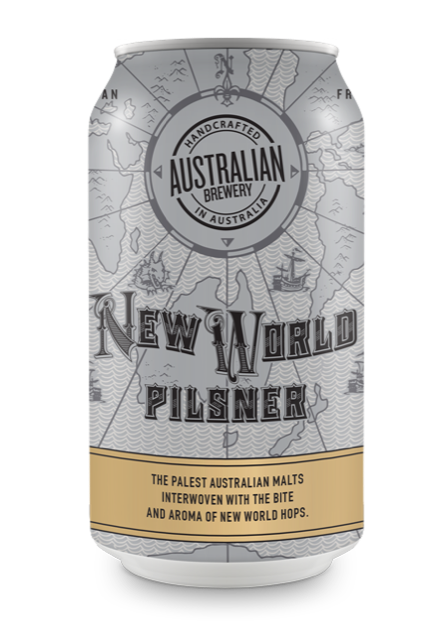 Australian Brewery’s New World Pilsener is a with an ABV of 4.8% is a brew in the tradition of the pilsners of Germany with their crispiness yet comes with the added twist that the spicy hops from New Zealand and the citrus aroma of American hops add to the mix. Seis Hermanos Lager is a refreshing lager in the Mexican tradition brewed with liberty hops and maize, which gives it a clean, light palate that is rounded out with lemony and citrusy notes. AB’s Australian Pale Ale with an ABV of 4.8% is inspired by the Australian pacific pale ale style enriched with aromas of citrus and passionfruit derived from galaxy hops. The All Star Session IPA is on the light side in terms of alcohol content yet an over-the-top exhibition of American hops in a beer that is borderline imposing, yet sessionable in the extreme. Australian Brewery also does cider: Their Fresh Press Cider with an ABV of 4.7% could have been brewed in England’s West Country, with its fine balance of sweet apple and crisp dryness, the locally sourced Australian apples being fermented just hours after pressing, providing a fresh and aromatic flavour experience.